Taste McAllen returns this year to celebrate McAllen’s metro top chefs and restaurants gathered at McAllen Conventions Center’s Oval Park. The evening includes awe-inspiring cuisine with chefs and restaurants showcasing their culinary techniques, joined by a five-star audience. Coming this year is Taste McAllen’s Grand Tasting, a unique location. Here patrons sample an exclusive collection of spirits, liquor, wine and craft beer. VIP Corner is back and will provide those attendees looking for a more personal setting with a beautifully decorated area. Tickets include a champagne and bubbles bar as well as Taste McAllen’s Chef’s Pit, where chefs cook top-end entrees for attendees to taste. 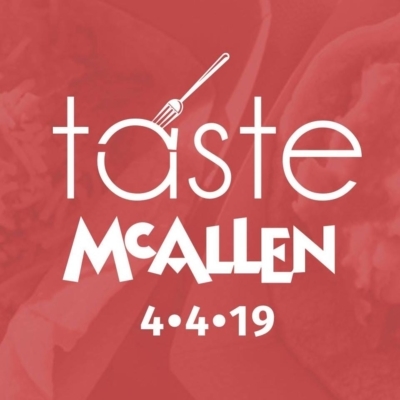 Entertainment is a big part of Taste McAllen, and two musical stages with various performances will take place. McAllen Convention Center Oval Park.